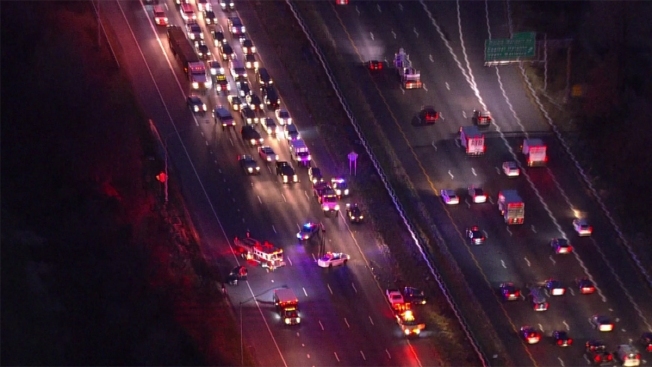 All lanes of the Capital Beltway's Outer Loop are closed Wednesday morning in Prince George's County after a multi-vehicle crash. Drivers were continuing to find delays Wednesday morning on the Capital Beltway after the Outer Loop was temporarily closed in Prince George's County due to a multi-vehicle crash. The lanes were closed between Ritchie Marlboro Road and Central Avenue in Upper Marlboro, Maryland. At about 7 a.m., vehicles were backed up at least three miles. The crash cleared from the roadway around 7:30 a.m., but delays remained as of 9 a.m. Multiple injuries were reported, but the severity is unknown at this time. Chopper4 showed passengers being transported from the scene. Stay with NBCWashington.com and @First4Traffic for updates. The crash cleared from the roadway around 7:30 but delays still remain as of 9am. There were multiple injuries, we don’t know the severity, but Chopper4 did capture passengers being transported from the scene. One crash was reported in the delays and that has also since cleared.